Recorded in 1989 but a hit in 1990 in the Billboard charts, here's some pure bubblegum pop. 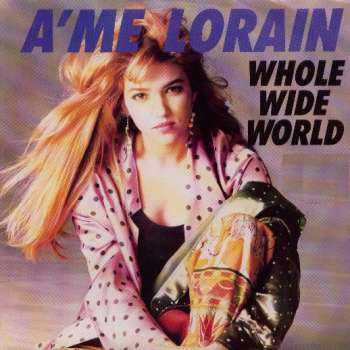 This is A'me Lorain and Whole Wide World. Remember this one John and Yuri? Oh yeah I do! That song was huge and all over the radio. It got a lot of remix play on Saturday night, when they did the dance party show.